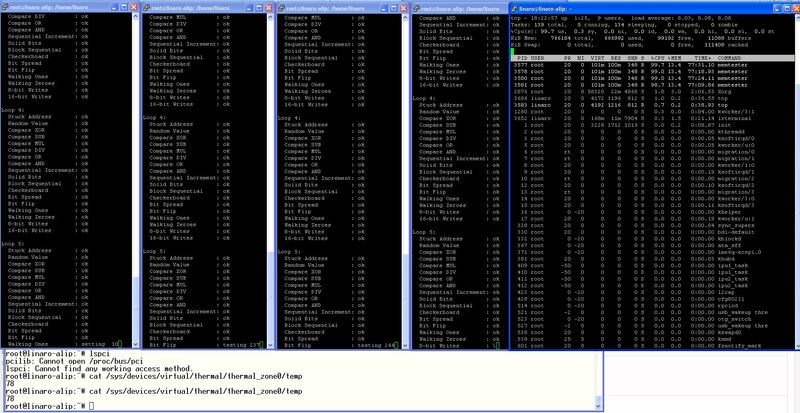 Check out the console output. You can see there the CPU temperature: 78°C (with a small heatsink installed on the top of the CPU). Total power approximately 8W with an LVDS display connected (0.8A / 10V).